5 years ago ago by MUSC Center for Global Health. Project Okurase is changing the way both healthcare and education are utilized in rural Ghana, West Africa. Cynthia Swenson, PhD, professor in the Department of Psychiatry and Behavioral Sciences at the Medical University of South Carolina (MUSC), co-directs Project OKURASE, a non-profit organization that addresses devastating effects of poverty, illness and a lack of clean water, infrastructure, medical care and education in a village of roughly 3,500 residents. This small village hosts numerous educational facilities and systems created to remedy long-standing public health issues and serves as a laboratory for successful programming in other low resource areas. 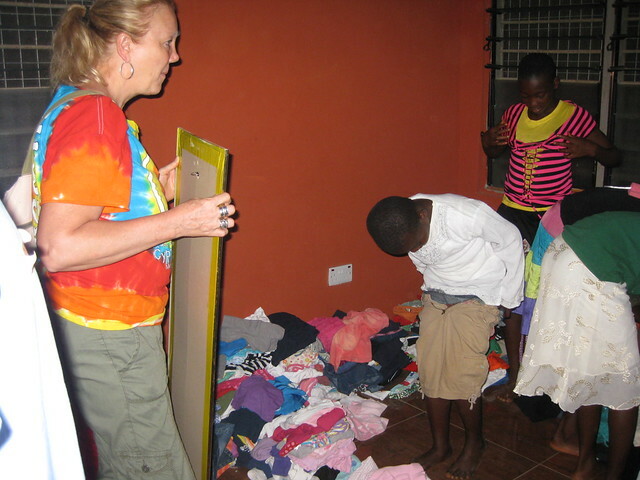 The community members are involved in all aspects of programs in the village. Swenson recognizes that without garnering support from the village residents, Project OKURASE's programs would be disempowering and not sustainable. 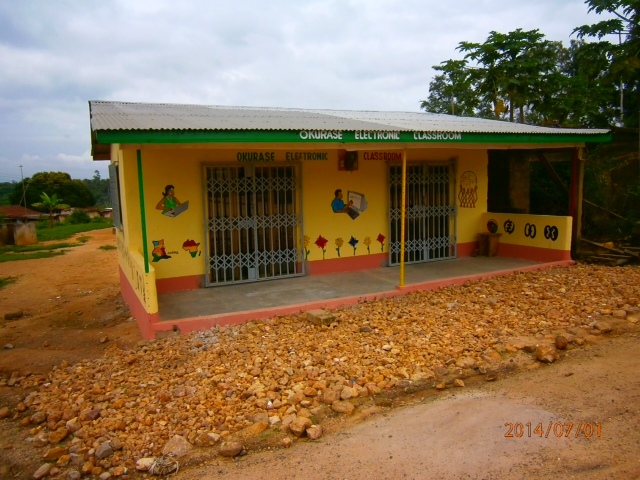 “We’ve built facilities and systems that not only provide an environment suitable for a higher standard of education and healthcare, but the villagers are free to consult on what is best for them,” said Swenson. Most notable of Project OKURASE's programs is a biogas system now being built to turn human waste into energy for the village. The system will be comprised of toilets where waste enters a chamber and is converted to gas. This gas will then be harnessed as an energy source for cook stoves. The biogas digester also produces organic fertilizer. Swenson received a pilot grant from MUSC Center for Global Health to begin research on the feasibility and acceptability of a biogas treatment plant in the village, assess attitudes and knowledge of biogas technology over time, and determine factors that promote or preclude system sustainability. 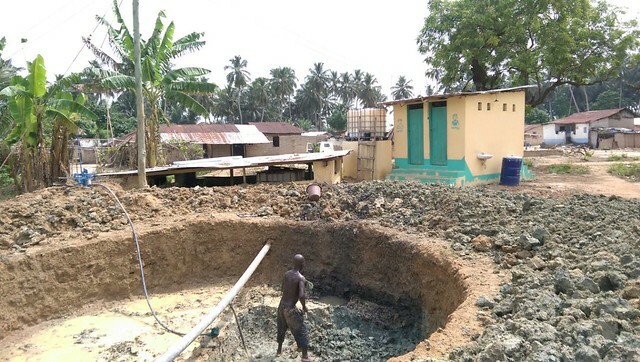 She and Project OKURASE have joined forces with the chief biogas expert in Ghana from Kwame Nkrumah University of Science and Technology to carry out the project. Another noteworthy accomplishment is the creation of an electronic classroom for children who, according to Swenson, have “never seen, never touched or used a computer” until recently. High school students from La Jolla, California were able to assist Project OKURASE in the building of a small electronic classroom where there had never been one in the village. Laptops were donated by a nonprofit in San Diego prior to these students’ departure. They received the warmest of welcomes upon arrival in Ghana and immediately went to work. The village residents installed a floor and roof on a shell of a building before the students arrived. 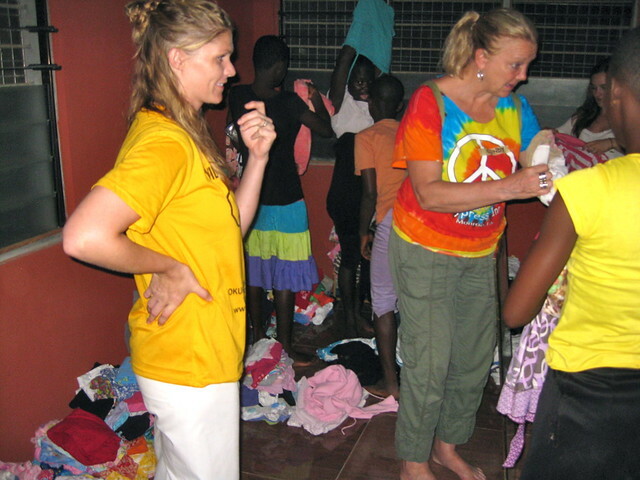 The village residents then joined the students to clean, sand, paint and finish the building. Swenson admits that change in this context is glacial with funding being the perennial barrier to Project OKURASE’s mission. Business acumen is somewhat natural—a lot of it, however, can be honed even in dire circumstances. Healthcare professionals conducting the Village Health Outreach, a week long medical clinic held every summer in the village of Okurase, mobilized quickly in referring a suicidal woman to Swenson for further assessment. Getting to the crux of her pain and suffering was not difficult: the middle-aged woman had issues supporting her family financially after the death of her husband. Women do not have land rights in many African countries so when the husband dies, the family is left with nothing and land can be rapidly take from them. Swenson identified the source of her anguish and the woman's proposed solution--to start her own business. 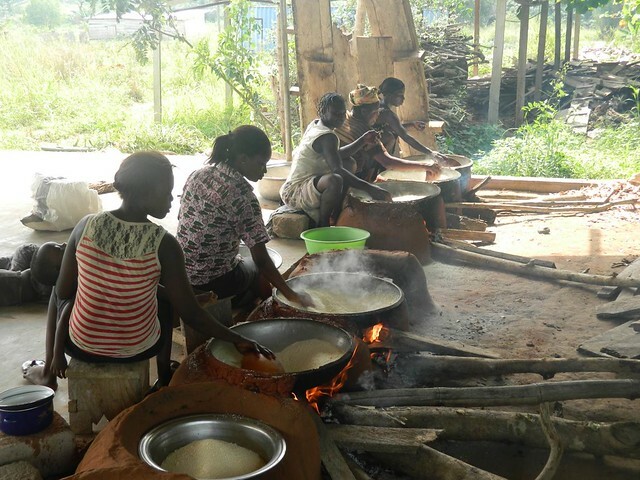 Project OKURASE worked with a local women's food-making cooperative to arrange a small business loan. Swenson worked with the woman to draw up a business plan to get started. The loan was given in July and she had it paid back by the middle of November. She now has a fully operational business, can feed her children, and her depression has resolved. Had this woman not attended the Village Health Outreach, the village would have lost out on a savvy businesswoman and her talented young, musician children. The success of Project OKURASE to date has not gone without recognition for its programs. Swenson was recently notified that Project OKURASE would serve as an official internship site for the Clinton School of Public Service at University of Arkansas. The Clinton School of Public Service offers the country’s first Master of Public Service degree to students who aspire to work in nonprofit, government, volunteer or the private sector. As in most programs, internships are vital components of skill development in a chosen field of study. 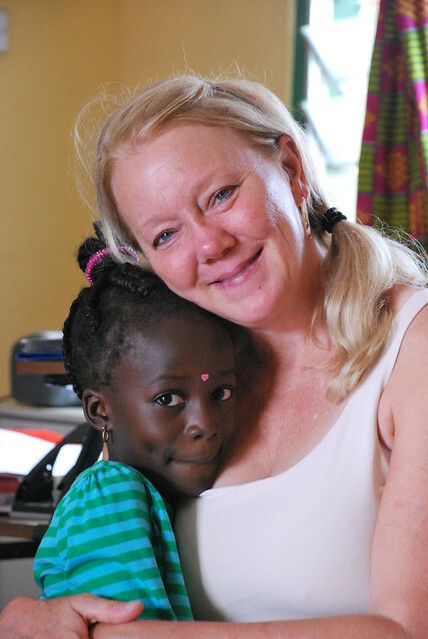 A number of phone calls and informal vetting ensued a meeting Swenson had with a student in the Clinton School who was researching reputable programs in Ghana. What is most telling is that while Project OKURASE does not fully exploit Search Engine Optimization to its full potential, the student still found Swenson’s program a better fit than those organizations that were first among the list of search results. The organization has grown substantially since its inception as a program to provide better opportunities and, thus, better outcomes for marginalized Ghanaians. Programs like mutualistic service learning internships for students around the country; solutions to replace flying toilets (form of open defecation in plastic bag thrown on the ground) and village health outreach have impacted the village residents and those who come to work in Okurase. That is a core mission of Project OKURASE, explicitly stated or otherwise: to provide a service learning opportunity to offer skills and expertise to disadvantaged populations while altering perspectives for good. Project OKURASE's programs are receiving wide-spread acclaim while touching the lives of public servants and the beneficiaries of their work. Just recently, a high school student used his experience working with Project OKURASE on his college applications. Admissions committees commented that his time abroad and his matching it to their programs made for an exceptional application and candidate.